Choose your world and take aim! Kirby will be launched into the fast-paced danger of uncharted worlds, but you can help him face his foes head on. It's a pinball race to check out each new world's surprise enemies and pitfalls. 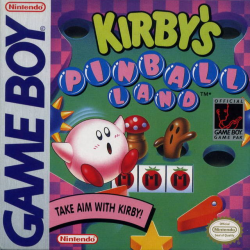 Flip Kirby in battles against lethal eyeballs, a shooting tree and mace-swinging maniacs. Take aim and leap to new worlds!